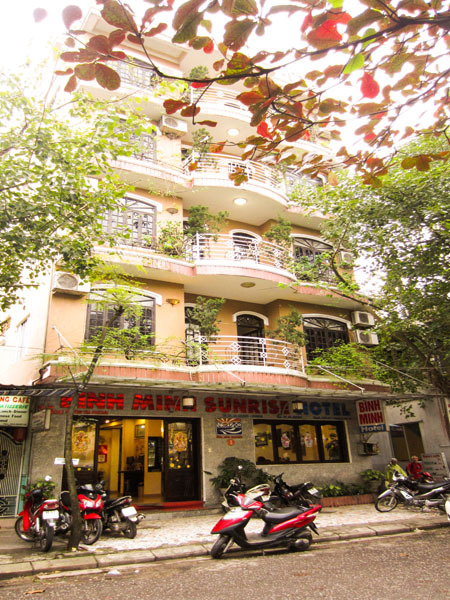 Welcome to Binh Minh Sunrise Hotel! 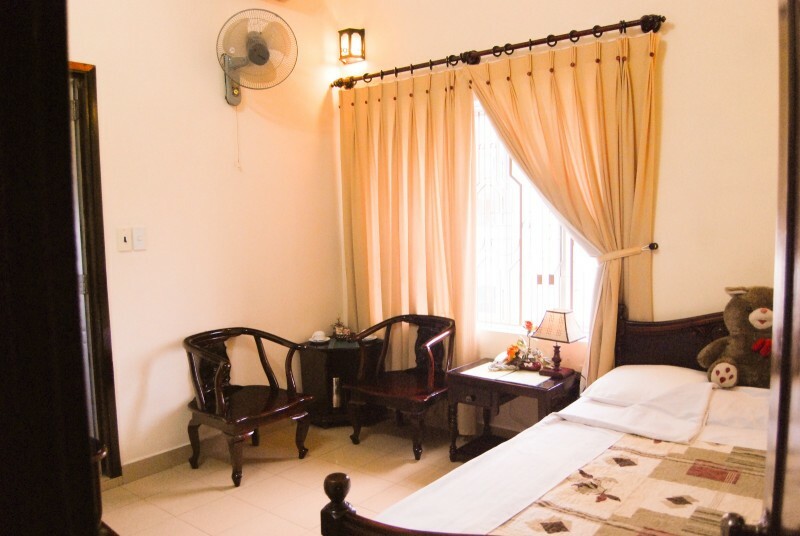 Binh Minh Sunrise Hotel is conveniently located in the heart of Hue city, just a five-minute walk from the Perfume River and the Truong Tien Bridge. 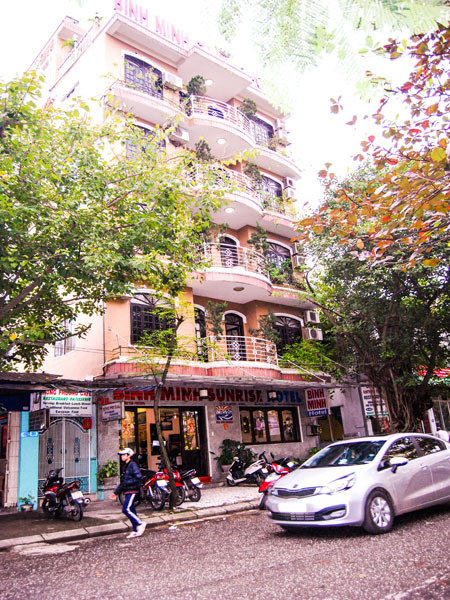 Binh Minh Sunrise Hotel is also within walking distance to European and Asian restaurants, Vietnam Airlines agency, tourist offices, posts, banks and shops. With six floors, 38 comfortable rooms and a modern elevator system, Binh Minh Sunrise Hotel has been recognized as an international standard two star hotel. 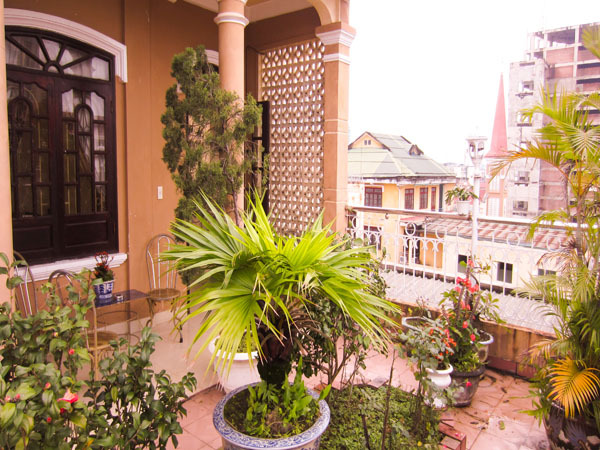 It is well equipped with IDD telephone and high-speed internet access enabling tourist to stay contact during the time living in the ancient capital city Hue. 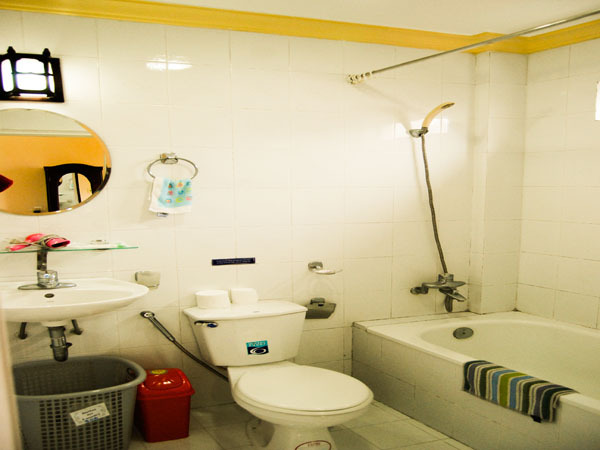 The hotel has restaurant that are designed in an informal and cosy style. With large balconies available on most floors, tourists can view the beauty of Imperial Hue while enjoying breakfast. 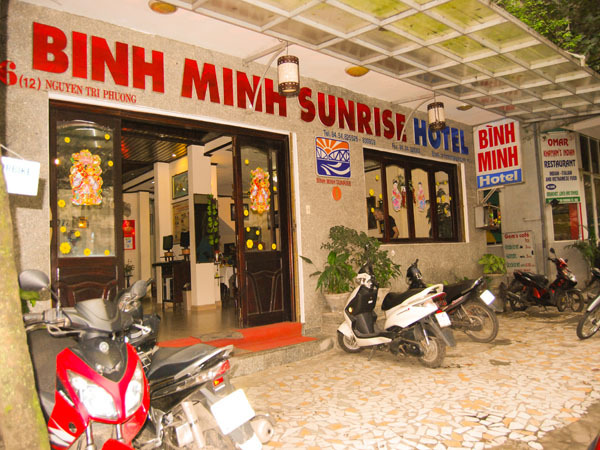 Binh Minh Sunrise Hotel, with its excellent management and well-trained staffs, will always make all guests feel right at home. © 2015 Binh Minh Sunrire Hotel. All rights reserved.